Over spring break we took a family trip to Washington, D.C. It's been years since I'd been there, and I'd never stayed in the city before or visited for more than a day at a time. This time we did four nights in the Embassy Row neighborhood near Dupont Circle. Nice neighborhood, and if my feet hadn't been so tired from walking all day every day I would have liked to have explored Massachusetts Avenue a little more and seen more of the embassy buildings from various countries. I did find time to visit a book shop a couple of blocks from our hotel, called Second Story Books. Which is on street level, not the second story, but it sold used books, hence the name. I could have spent hours in there scanning the shelves, but unfortunately didn't have that much time. So I bee-lined for the fiction shelves and netted a couple of Richard Russo novels (Straight Man and Mohawk). And then another book caught my eye. 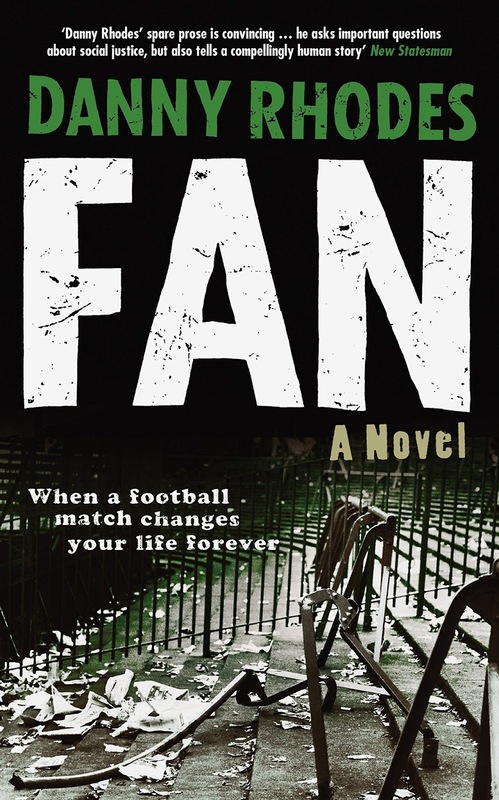 Fan by Danny Rhodes. I don't remember where, but I read something about it in the not too distant past, just enough for that "hey, I've heard of this" lightbulb to click on when I saw it. 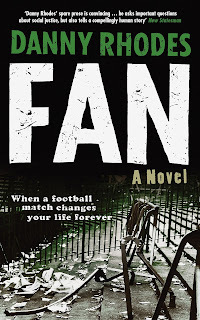 It's a novel about a rabid Nottingham Forest fan whose life is changed after witnessing the Hillsborough tragedy from the other side of the pitch.